GLAND, Switzerland, June 22, 2010 (ENS) – The nations of East and Central Africa and some of the world’s largest conservation organizations have developed a 10-year conservation action plan to save thousands of endangered eastern chimpanzees. The main threats to these animals, which share 98 percent of human genes, include hunting for bushmeat, capture of infants for the pet trade, disease and habitat loss. The International Union for the Conservation of Nature, IUCN, and the Wildlife Conservation Society Monday released the action plan. It shows that the conservation of 16 areas could conserve 96 percent of the known populations of eastern chimpanzees, estimated to be around 50,000 animals. However, the total number could be as high as 200,000, almost double previous estimates, the conservation groups said. “We know about the distribution and abundance of only a quarter of the world population of the eastern chimpanzee,” says Dr. Liz Williamson, IUCN’s Species Survival Commission Great Ape coordinator. The eastern chimpanzee, Pan troglodytes schweinfurthii, is classified as Endangered on the IUCN’s Red List of Threatened Species. These animals live in the Central African Republic, the Democratic Republic of Congo, Sudan, Uganda, Rwanda, Burundi, Tanzania and Zambia. Due to high levels of exploitation, death and injury, as well as loss of habitat and habitat quality as a result of expanding human activities, this subspecies is estimated to have experienced a significant population reduction in the past 20 to 30 years, according to the IUCN Red List. “This effort to assess the status of eastern chimpanzees will help us to focus our conservation actions more effectively,” says the plan’s lead author, Dr. Andrew Plumptre, director of the Wildlife Conservation Society’s Albertine Rift Program. “In the next decade, we hope to minimize the threats to these populations and the ecological and cultural diversity they support,” he said. 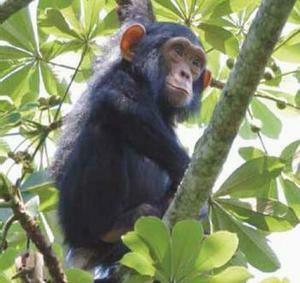 The action plan to conserve this chimpanzee subspecies grew out of a workshop held August 2009 in Kampala, Uganda. It was attended by scientists and other experts from 35 organizations representing the United Nations, conservation groups, and protected area authorities for each of the eight range states where eastern chimpanzees live. In addition to targeting two of the greatest threats to the species, illegal hunting and trafficking, other objectives include reducing the rate of forest loss in chimpanzee habitats. Scientists hope to increase knowledge of chimpanzee distribution, status, and threats; and improve the understanding of health risks to chimpanzee populations, including human-transmitted diseases. They also hope to increase community support for chimpanzee conservation; and secure sustainable financing for chimpanzee conservation units. “The plan will require considerable support from the global community – approximately $315,000 per chimpanzee conservation unit, or $5 million each year – but will ensure the continued survival of eastern chimpanzees in their natural habitats,” says Dr. James Deutsch of the WCS’s Africa Program. Chimpanzees are most often found in moist and dry forests, and forest galleries extending into savanna woodlands. They are omnivorous, and their diet is variable according to individual populations and seasons. Fruit makes up about half their diet, but leaves, bark, and stems are also important. 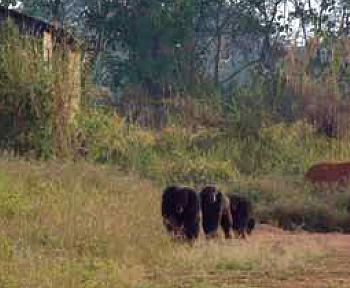 Mammals comprise a small but significant component of the diet of many chimpanzee populations. “Some fish for termites with sticks while others do not; some crack nuts, large snails or even tortoises and eat them, while others do not,” the Action Plan states. 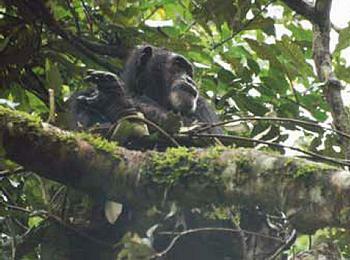 Chimpanzees at neighboring sites tend to have similar behaviors.